Simple, functional and practical in design, the Green Marseilles First Aid Bag (Empty) offers a perfect solution for situations where a standard first aid grab bag is required. The Marseilles Bag is supplied empty, allowing you to customise its contents to ensure that you have the correct first aid supplies for your specific needs. This perfect economy starter grab bag is ideal for small to medium sized sports teams, or employees who are often out and about. A lightweight case that is practical in design, it is a functional container for all of your first aid needs. The bag includes an adjustable shoulder strap for ultimate comfort, with a fully zipped top and reflective strips that make the Marseilles Bag an economic choice without compromising the basics. 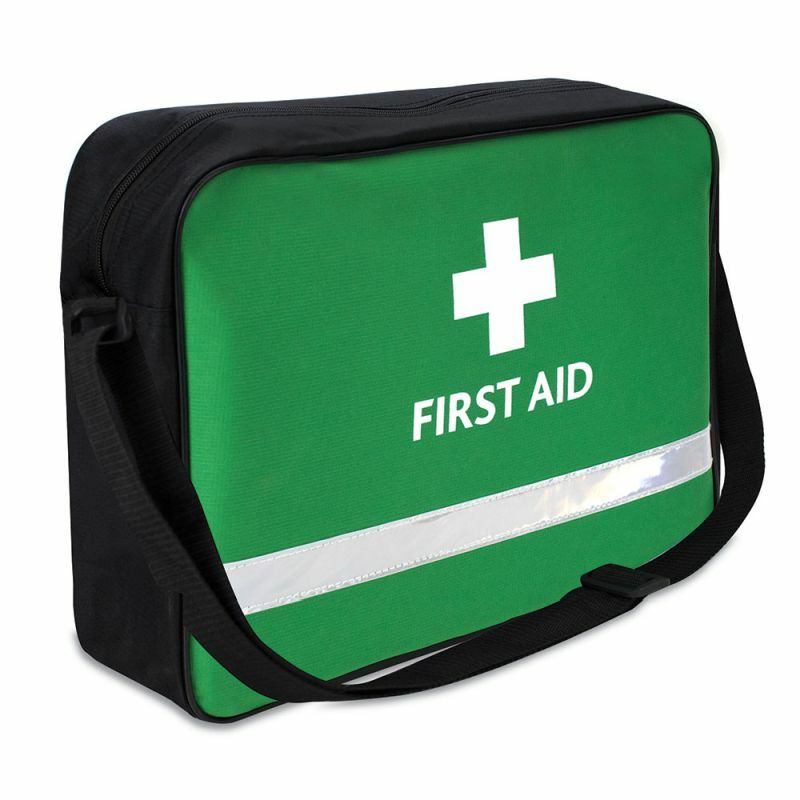 With a bright and clear green design and a universally recognised symbol for first aid, this bag is clear and easy to notice in case of an emergency. Please note that the Green Marseilles First Aid Bag is supplied empty and that first aid supplies must be purchased separately. The Green Marseilles First Aid Bag (Empty) is usually dispatched via First Class Royal Mail and delivery should be within 1 to 3 working days.